If you are self-employed and looking to remortgage your property, there are a few criteria you will need to fulfil. To start with, let’s look at the definition of self-employed. You are self-employed if you run your own business. Even if you only work with one main client, if you send them invoices rather than getting a pay slip every month, then you are self-employed. You will also know if you are self-employed if you handle all of your own taxes and national insurance contributions. If you are self-employed and looking to remortgage an existing property, you will need to speak to your mortgage advisor. Just like a self employed mortgage, your mortgage provider will need to see evidence of earnings going back at least two years. This means that if you are newly self employed, you may need to wait a while before applying or shop around for a different provider. In general, a mortgage provider will want to see proof of past income, proof of future income and a strong credit score. Many mortgage providers will need to see the last few years of your accounts. This is usually in the form of a SA302 form. Some providers will also need to see accounts prepared by a chartered accountant. The more years of accounts you can provide, the better your application will look. If you applied for your mortgage when you were in full-time employment and then decided to switch to self-employment, you will need to wait at least one year to remortgage your property. In addition to evidence of past income, you will also need to show evidence of future earnings. If you can show future contracts for work to be completed or regular retainer agreements with clients, this will help to strengthen your application. In the past, the self-employed could apply for something known as a self-cert mortgage, but these were banned as a result of abuse. Rather than proving their income, self employed individuals could simply state their income. This led to many people borrowing more than they could afford and this type of mortgage was outlawed following the credit crunch. One final factor that lenders will take into consideration is your credit score. Your credit score is essential for any lending application and mortgage providers will want to see a history of responsible borrowing with no CCJs or defaults on your file. Your credit score can differ depending on the provider, so it’s important to build a complete picture of how different credit providers see your account. Remember, there is no such thing as a “self employed remortgage”. Once you have passed the initial checks required by a mortgage provider, you will have access to the same lending products as anyone else. The only difference is that you will have to jump through a few more hoops to prove your income. If you are rejected by one provider, don’t assume that this means you aren’t eligible. All providers will have their own criteria, and some are far more experienced in working with the self-employed. Key to success in applying for a remortgage when self-employed, is applying to a lender that is flexible enough to take your entire financial picture into account when making their decision. More than 5 million people in the UK are classed as being self-employed, so it stands to reason that there are mortgage companies to cater for them. 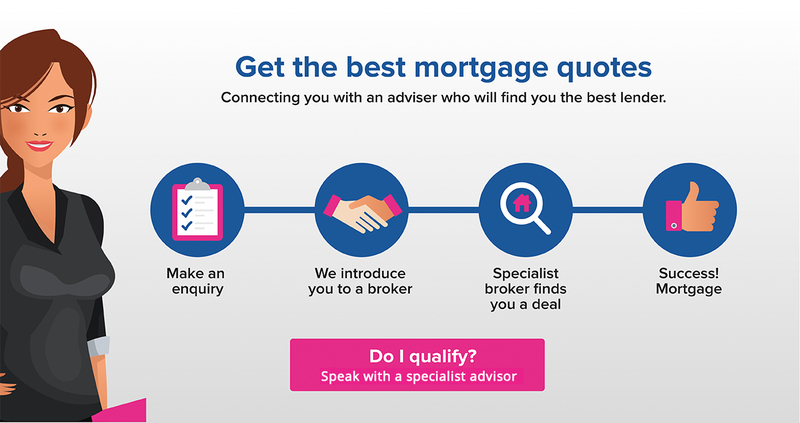 Applying to a specialist mortgage broker with access to companies that offer deals that aren’t available through traditional high street bank channels can be a real deal breaker when it comes to getting the deal you’re after. Whilst there are some high street banks that cater for the self-employed, it is a trickier process to get approved for any mortgage this way. One aspect that is different with a remortgage, as opposed to a standard mortgage, is that there is often a large amount of equity built up – especially if the property has been owned for a long time. If this is the case, then your chance of remortgage success goes up greatly, as it’s viewed as collateral by any would be lender. Conversely, the higher the level of percentage of property that is still mortgaged (known as loan to value or LTV), the less wiggle room you’ll have for remortgaging. We’d love to be able to tell you that there are workarounds for these rules, but they are, as they say, set in stone. At Niche Mortgage Info, we have close associations with a carefully selected group of specialist mortgage brokers who have access to special deals and rates that are geared towards people in situations that would otherwise make obtaining a mortgage difficult. We are on a mission to make it easier for people to obtain the mortgage and remortgage deals they deserve and by putting those people in touch with people who are able to help, can make the difference between success and failure. If you would like to know more about anything mentioned here or about remortgaging after bankruptcy or remortgaging with defaults, please take a look through the rest of our site. Alternatively, to speak to a trusted, recommended advisors, click here.